Ever gone up and down a ski slope at 350 horsepower? Realize your boyhood or girlhood dream and spend an evening as the co-pilot of our PistenBully snow groomer. 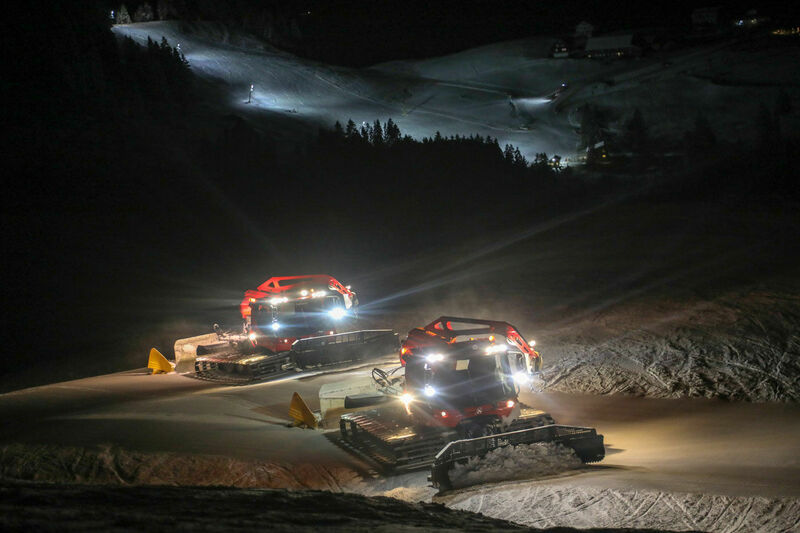 Once the last skier is safely at home, the work begins for our hero of the night, the PistenBully. Experience the extraordinary ambience of the white darkness, help to inspect the snow-making facilities and watch the ski slopes being groomed for the next day. Booking is essential. We gladly receive your reservation up until two days before the event. Depending on the weather, we might have to cancel the event at short notice and together with you find a new date. A special experience for a special person? 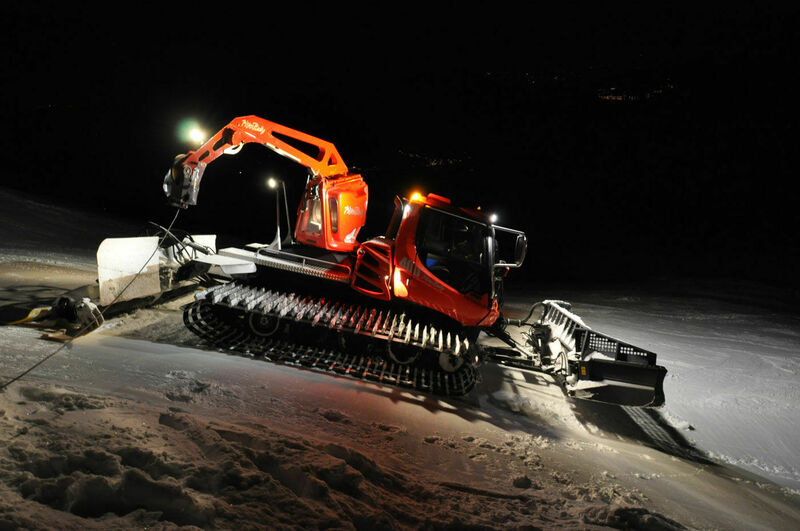 Give away a night as a Pistenbully co-pilot and give your loved ones a great pleasure.